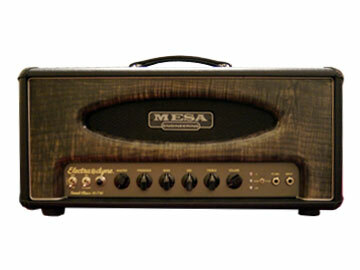 The Mesa Boogie ElectraDyne amplifier is intended to be the Marshall of Mesa Boogie! But does this amplifier achieve what it set out to do? And what about volume levels? Find out in this Inside and Out Review. One thing that's really great about Mesa Boogie amplifiers is the overall awesome manufactured quality built right in to every amp they make. They certainly cost more there is no doubt about that, but I guess you get what you pay for within reason. 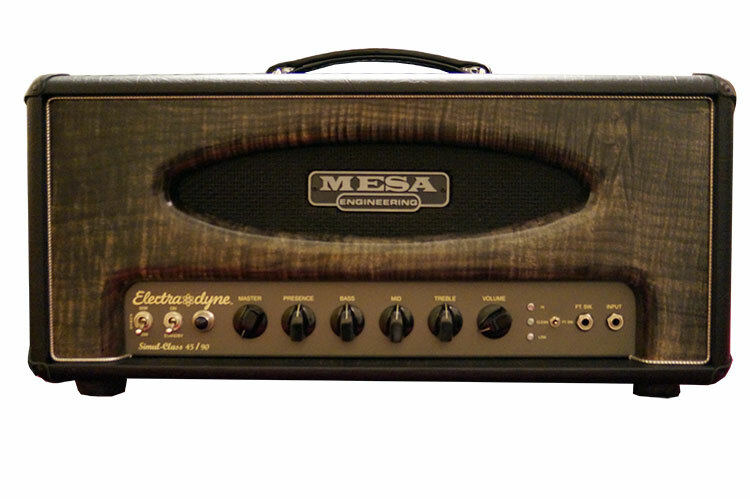 The Electra Dyne amp is (or was) Mesa's answer to Marshall Amplification. Mesa set out to 'replicate' the Marshall tone with this amplifier. But they also embedded (they say) Fender's pristine tones in to the clean channel. How I look at this amp is that Fender resides in channel one and Marshall resides in channel two. It's a 'classic' tone style of amp so if you play classic rock this amp sounds perfect. But to move on to higher gain heavier detuned stuff might not really be the best style for this amp in my view. The Electra Dyne can take either EL34's or 6L6 tubes for that alternate tone and I guess it's all down to what style you play, but it's easy to fit the tubes and if you buy Mesa Boogie tubes as they say, simply put them in, flip the switch and away you go. I bought this amp over the last year or so partly because I had not tried one of these and partly because of the updates of wood that the amp has. It really does look cool with that nice piece of maple, but I would have chosen a nicer color personally if I was buying it from new. This one had little use I could tell and it did sound cool so I bought it. It is possible to buy these for about $900 but maybe more or less. In any case, if you go looking for one of these they are reasonably hard to find as I don't think Mesa Boogie made that many and they were not as popular as their regular line of guitar amplifiers. But nevertheless this amp does have it's own voicing and is made like a brick toilet. However, this amp does have some pretty strange twists and turns to it by design and I have to say that this is the first amplifier that I have ever seen with some of these design features; are these good for the amp? I'll let you know in the review. The one I bought for this review was a 110/120 volt unit for the USA market, but I later carried out a conversion on this amplifier to move it to 240 volts operation. That work consisted of a few small components, a power transformer from tubeampdoctor.com and a secondary transformer that is needed on this amp. Rather a sneaky way to try and stop the conversion by mesa, but I simply had made the smaller transformer too. This can be a very loud amp if you crank everything up, rather like the older classic amps; in fact like some of the Marshall amps of old, but a little better than say a Plexi where sound levels are concerned. Even running this amp at reduced levels it can be loud. The ElectraDyne is a heavy amplifier too, but not as heavy as it's counterpart the 'Royal Atlantic 100' that I will also discuss regarding certain comparisons. I cover all of that in the review. This review is currently being developed so check my news page for updates.